Lucknow : The BSP is giving a tough fight to the BJP in the first three hours of counting of votes case in the mayoral elections in 16 municipal corporations, a Uttar Pradesh poll panel official said on Friday. While the Bharatiya Janata Party has a slight edge in 12 places, the Bahujan Samaj Party, in a surprise development, was making considerable leads in the remaining four in the first round of counting. In the postal ballot round, the BJP did predictably well. The BSP candidate was leading in the Samajwadi Party (SP) stronghold of Firozabad while in Agra also, BSP candidate Digambar Singh Dhakre took a decisive lead on his nearest BJP rival Naveen Jain. In Agra, Dhakre had polled 11,416 votes while BJP's Jain was trailing behind with 4,320 votes. After two rounds, in Firozabad, the BSP candidate polled 9,506 votes, BJP 4,677, SP 992 and Congress 355. Results for six corporation seats have also been announced in Agra of which five went to the BJP and one to the BSP. 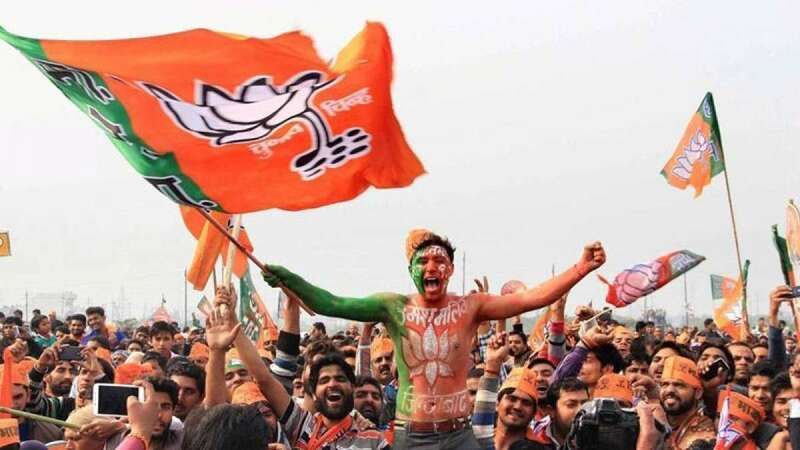 In Allahabad Muncipal Corporation, BJP's Abhilasha Gupta was leading with a few hundred votes while in the state capital Lucknow, Sanyukta Bhatia of the BJP was leading over her nearest SP rival. In Gorakhpur, the hometown of Chief Minister Yogi Adityanath, the BJP candidate was leading and in Moradabad and Kanpur too, the ruling party candidates were in the lead.